Find a vacation home to rent in Gulen Municipality from our list of vacation rental properties. Campaya has over 5 vacation homes available in Gulen Municipality, which give you the possibility to locate a unique accommodation in Gulen Municipality which completes your check-list in search for the perfect self catering vacation apartments in Gulen Municipality or vacation villas in Gulen Municipality. Enjoy a self-catering holiday full of nature and culture with this lovely holiday home. The property is situated directly on the seashore with an amazing view over the fjord. Are you looking for beautiful nature? Because certainly like an idyllic location, this large and beautiful house. The spacious terrace offers sun most of the day and a magnificent view. 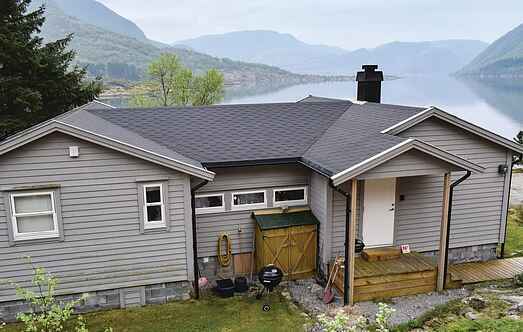 This beautiful cottage is located on the Sognefjord, between Bergen and Førde. You can enjoy cosy barbecues on the sunny terrace and admire the fantastic views of the surroundings. This is a holiday home with a stunning view near Austgulfjorden. The location is perfect if you are interested in day trips around the fjord.